Easy Raw Chocolate - Raw Juicy Living - Recipes and Workshops for Parksville, B.C. Gently melt the coconut butter and coconut oil in a dehydrator, in the sunshine (my personal favourite! ),or in a double boiler on low heat. Whisk in the remaining ingredients until smooth. You're done! 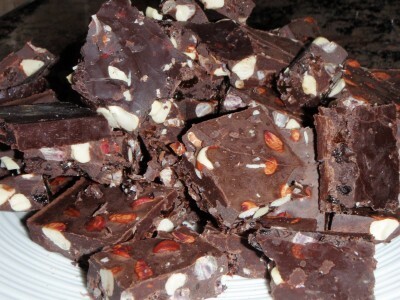 Break into chunks and enjoy your raw chocolate!